Where has God been with you on your faith journey? In all your ways remember him. Then he will make your paths smooth and straight. 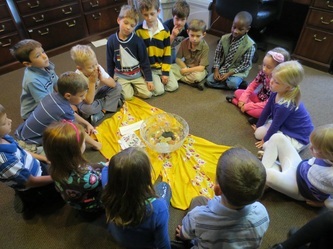 This week the older classes talked about their faith journey. As they studied this scripture passage they thought about their own path in life. It is smooth and straight? What is God promise to us in this passage? Maybe we need a re-orientation of what "smooth and straight" means for our lives with God. Last week I invited you to sit with God and jot down the thoughts and ideas that came to you as you did that. Go back to that list...or do it now. Do the things on your list make your path straighter OR do they take it to places that bend and curve and double back on itself? That's what my list usually does! I like to think of the story of Noah. In Genesis, we hear that Noah was a righteous man and that Noah walked with God. We know Noah's story. It is not smooth and straight how we would describe it! But it is the path that God chose for him. That is how I frame my life full of it's own twist and turns. It may not be straight the way I would prefer but I know that God is with me on my journey. For the devotion at our staff meeting this week, we each described our faith journey using six words or less. Try it! It is an interesting challenge. The younger classes listened to the story of Psalm 23. As the shepherd moved through the places of fear and peace, their little wooded figures moved with him. They were reminded that Jesus is always with them as they go through their lives. Here are the wooden figures from the second grade class. and to heal those who were sick. He told them, "Don't take anything for the journey. Do not take a walking stick or a bag. Do not take any bread, money or extra clothes. When you are invited into a house, stay there until you leave town. So the Twelve left. They went from village to village. They preached the good news and healed people everywhere. 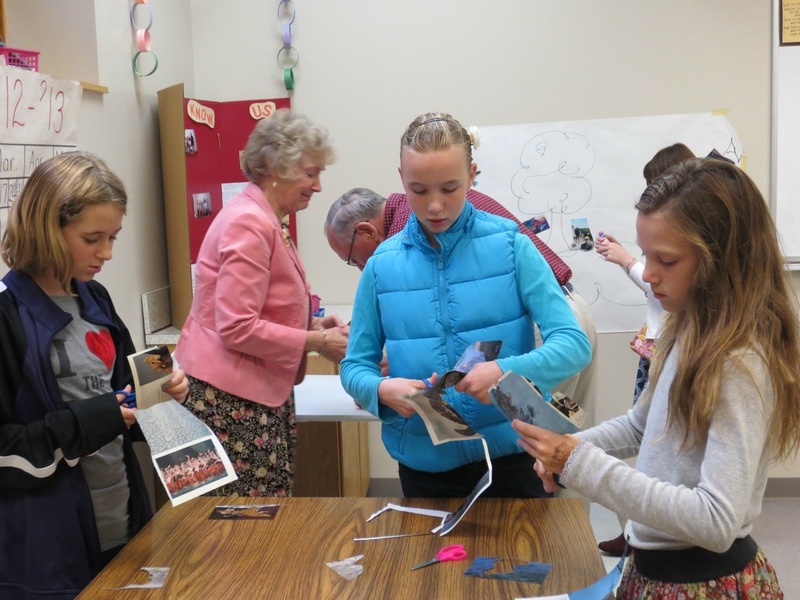 On Sunday, November 4 the older Sunday School classes reflected on the scripture passage above. 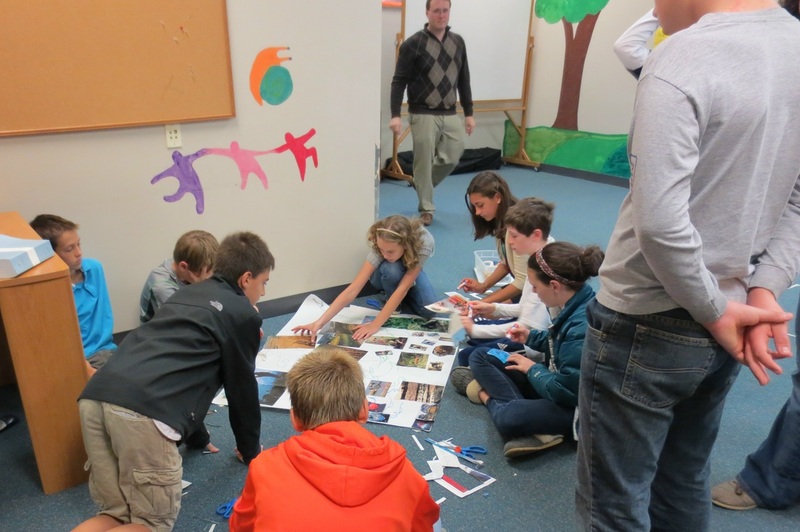 They wondered about the things that hold them back from doing God’s work in the world. They “unpacked their baggage” and then prayed about letting some of it go. How would you answer that question? What holds you back from doing God’s work in the world? Feeling overwhelmed by the problems of the world? Allowing technology to take priority over relationships? What is Jesus calling you to do with your life? What keeps niggling at you? How can you share your self with the world? I know - heavy questions. Just sit with them for a while. When the 20 minutes are up, jot down the ideas and thoughts that came to you. You may not know what it all means yet, but keep the list! 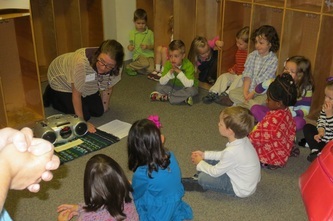 For week 5, the younger Sunday School classes were reminded that singing is a great way to tell other people about Jesus. It is something we all can do! Always be joyful. Never stop praying. Give thanks no matter what happens. God wants you to thank him because you believe in Christ Jesus. Every class learned and practiced a breath prayer. Breath Prayer is slow and steady and follows the gentle rhythm of your own breathing. A simple prayer is repeated silently or aloud. Each student made a prayer rope to accompany their breath prayer. As each prayer is breathed in and out, the person holds the next knot in line on the rope. This gives a little structure to a continuous from of prayer. 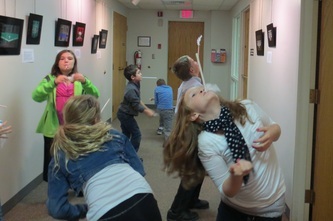 Here is the 4th grade Sunday School class "playing" with their breath! They tried to keep feathers up in the air using only a straw and their own breath. The preschool - 3rd grade Sunday School classes added their prayers to the prayer wall. 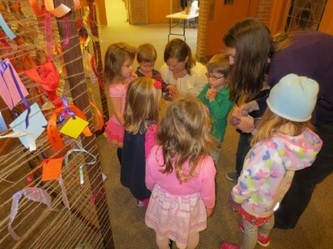 As they finished, they prayed for all the prayers tied to the wall by many people in our congregation and visitors who stop by Faith during the week. You are God's chosen people. You are holy and dearly loved. So put on tender mercy and kindness as if they were your clothes. Don't be proud. Be gentle and patient. 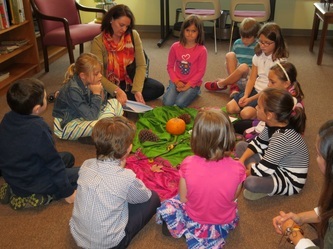 On Sunday, October 21, the preschool through 2nd grade classes drew prayers for their church. They prayed for things in the building, like the organ, and for the places they play. They also prayed for the people at Faith Church they see on Sunday morning and those who use our building during the week like Rainbow Place Preschool. They will add their prayers to the Prayer Wall next week. 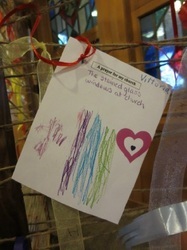 Pictured is the altar, class candle, an 'unbound heart', and Faith's picture prayer book from the Kindergarten class. The 3rd - 7th/8th grade classes read more of Paul's letter to the Colossians: in chapter 3 verses 12-17. They talked about their church experience at Faith. They shared ideas of how Faith is a place of compassion, unity and wisdom. 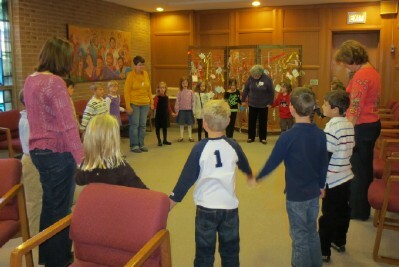 They also discussed how we could do a better job caring for and loving each other. On Sunday, they added their prayers for Faith to the Prayer Wall. 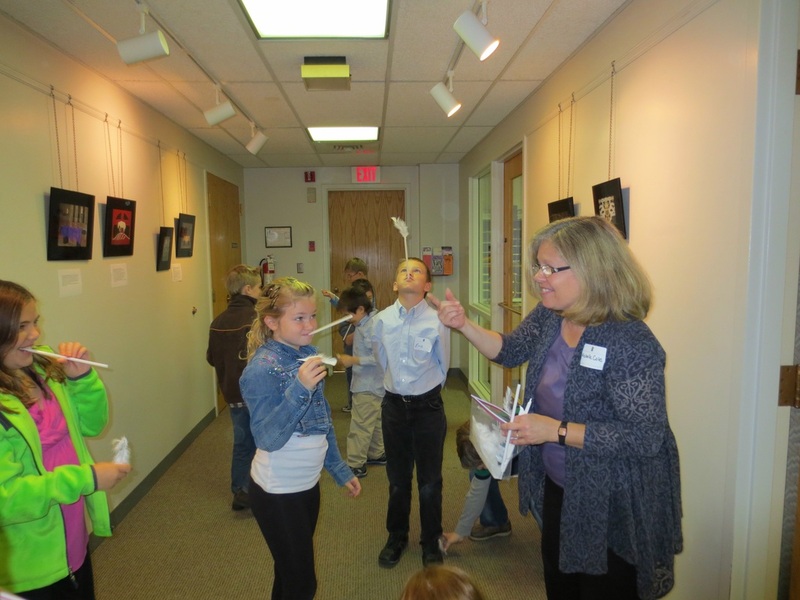 Check out the pictures below of the Sunday School Creation Prayer Walk. Each class rotated through four stations that engaged their senses and prompted them to pray for many of the wonders in God's creation. This weekend take some time to be outside together as a family. See how the trees clap their hands with joy! 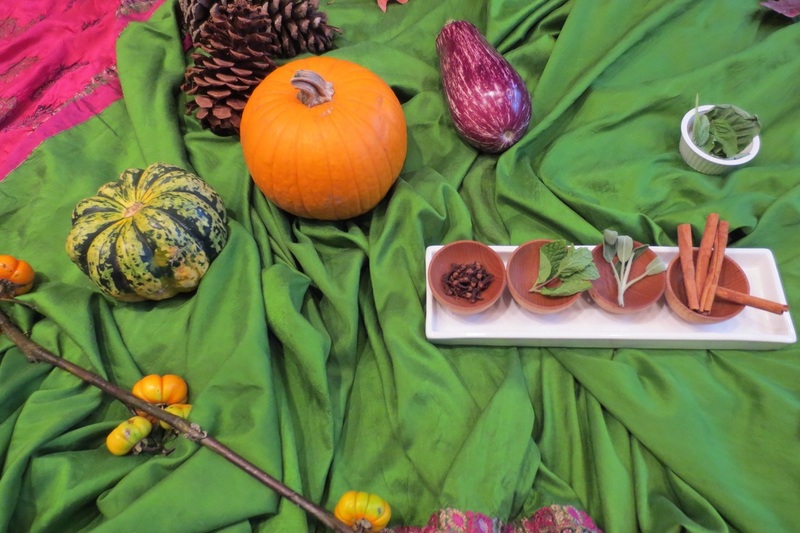 Gather some leaves, acorns and pinecones. Spread them out on a platter to create your own centerpiece. Take a close look and discover the unique qualities of each. Include the Bible verse above in your prayer. 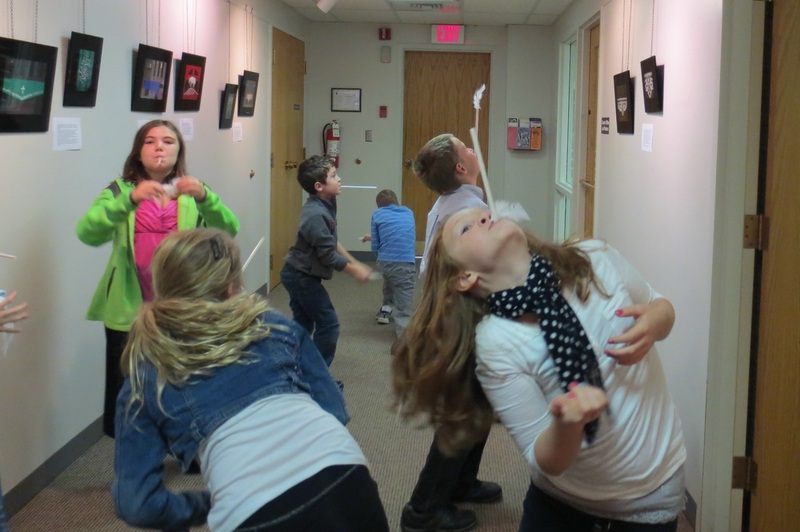 Make sure you upload a picture of your family enjoying God's creation on Faith's Facebook page at Faith, Glen Ellyn. Lord, you have seen what is in my heart. You know all about me. even though you are far away. You know when I go out to work and when I come back home. You know exactly how I live. Lord, even before I speak a word, you know all about it. You are all around me. You are behind me and in front of me. You hold me in your power. I'm amazed at how well you know me. It's more than I can understand. We are told seven times in this passage that God knows us. Seven times! Does it comfort you that God knows you so well? OR Does it cause doubt in your own behavior or God's love? There is no one that knows us like God. No one that knows all of our insecurities and doubts. No one that knows how we secretly wish that life was different some days. No one that knows how anxious we feel about the future and how that fear can paralyze us from making any decisions. There is no one that knows us like God; who knows everything about us....and loves us unconditionally. Sit with God today. Let go. Let yourself be surrounded by God just as the fall leaves surround us in a blanket of yellow, orange and red. Sit in silence first. Take a few deep breaths. Then slowly read the passage above twice. What stands out for you? Where do you hear the promises of God? Say a prayer of thanks for God's love and read the passage one more time as you end your prayer. God knows us. Thanks be to God! Unbinding your Heart – What does that really mean? 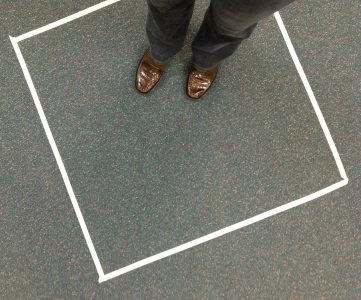 Can you imagine living in a 3ftX3ft square like this? You could. It is possible. You could read or surf the internet. You could invite a friend in. You could curl up to sleep. You could do some things but you wouldn’t be able to do everything you wanted to do. You couldn’t go out on adventures and try new things. You couldn’t invite many people in to the square. It would be hard to meet new people. While you would survive in the square, it is not the ideal way to live. You would be trapped and you could not live the life you were meant to live. If something is confined to a small space or bound up, it can’t move freely. We need to work at letting it be free to do what it is supposed to do. We need to release it. Over the next six weeks, the congregation will working at unbinding our hearts so they can be free to do what they are supposed to do. 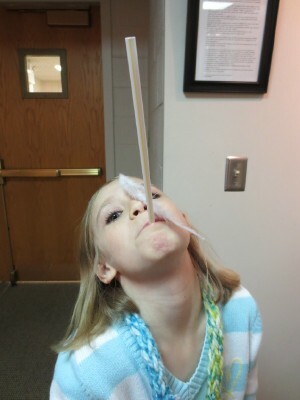 This is what the Sunday School students will do too – unbind and open our hearts to God. We will be talking a lot about prayer. People think about and experience prayer differently. The students in Sunday School will have different experiences with prayer over the next 6 weeks so that their hearts are even more open to God. if we open our hearts –even more- to God? !